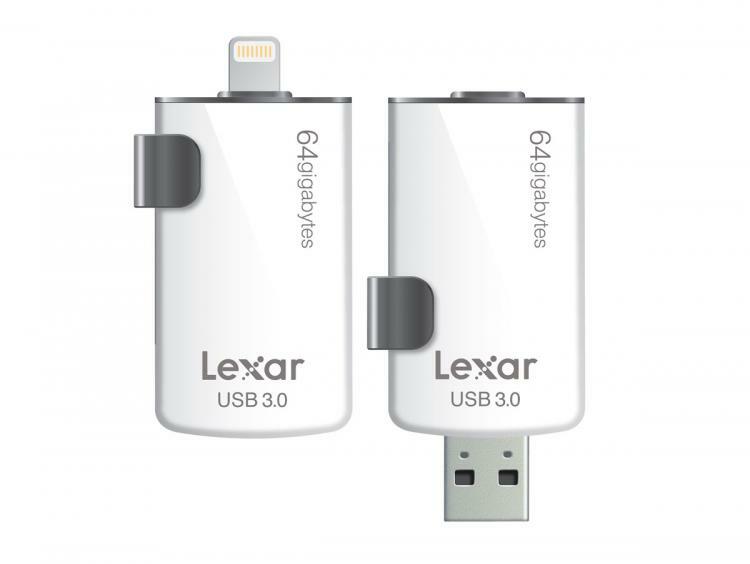 Milpitas, CA, October 13, 2015 – Lexar, a leading global brand of flash memory products, today announced two additions to its mobile USB 3.0 flash drive line: the Lexar® JumpDrive® M20c and the Lexar JumpDrive M20i. 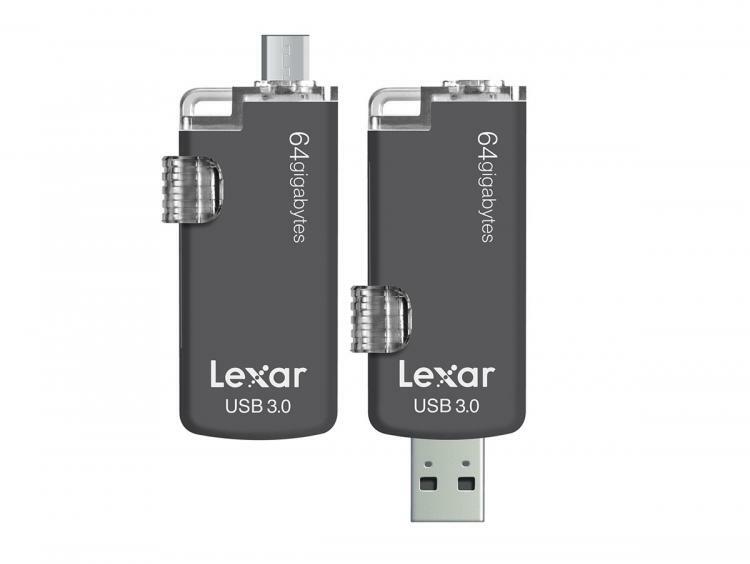 The Lexar JumpDrive M20c is designed for use with next-generation USB Type-C devices, and features two connectors – USB Type-C and USB 3.0 – to allow users to easily share content between smartphones, tablets, and computers. The Lexar JumpDrive M20i is designed for use with iOS devices, enabling users to easily offload and move photos and videos between an iPhone®, iPad®, and computers. The Lexar JumpDrive M20c leverages USB 3.0 performance with up to 150MB/s read and 60MB/s write speeds. * Users can transfer a 3GB HD video clip in less than one minute, compared to the four minutes it takes using a standard USB 2.0 drive. *** Its reversible design of the Type-C connector means no fumbling to insert it correctly. It also easily expands the memory of your devices providing more room for your favourite images and videos. For added versatility, the drive is backwards compatible with USB 2.0 devices. The Lexar JumpDrive M20i drive features a Lightning® and USB 3.0 connector, making quick work of offloading files on the go—no charging or battery needed, and no network required. It works with the use of a free file management app from the App Store which allows users to back up files when connected, and automatically and securely syncs files on the go. The JumpDrive M20i provides read speeds up to 95MB/s and write speeds up to 20MB/s. ** For added versatility, the drive is backwards compatible with USB 2.0 devices.